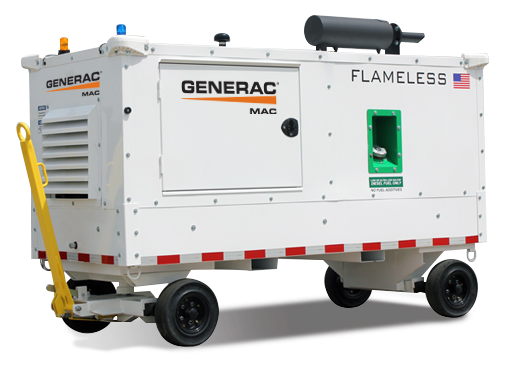 The Generac MAC400FHC Flameless Air Heater is a safe, compact way to bring heat to your aircraft, hangar, and ground support equipment. Mounted on a dual axle trailer for easy mobility, the MAC400FHC boasts the rugged Generac construction needed to meet the demands of any airport. Each Generac mobile heater is built specifically to fit your needs. Several options are available to ensure you get exactly the mobile heater that you need.